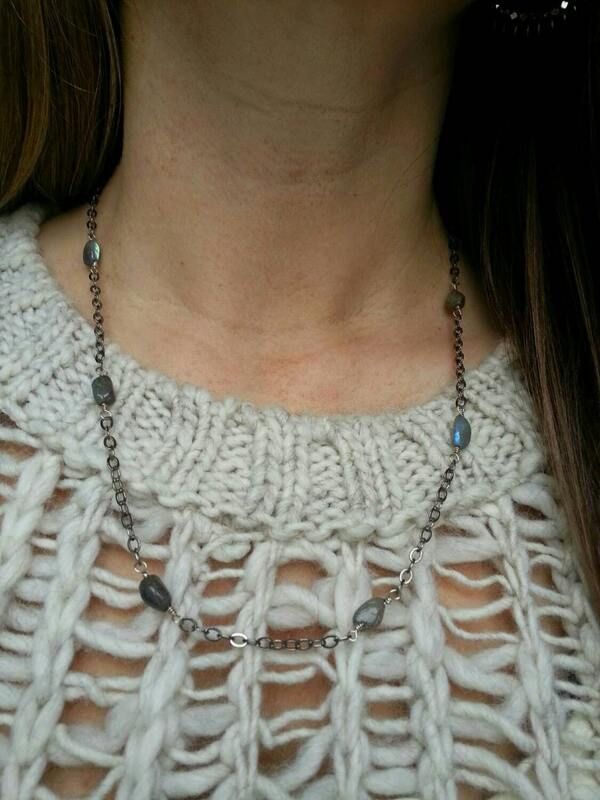 Labradorite and gunmetal chain belong together. 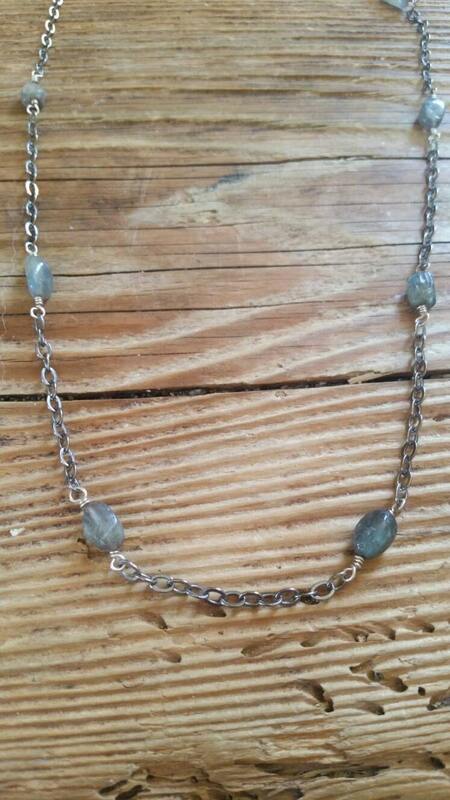 The labradorite beads are linked to the flashy gunmental chain with 24g sterling silver wire. 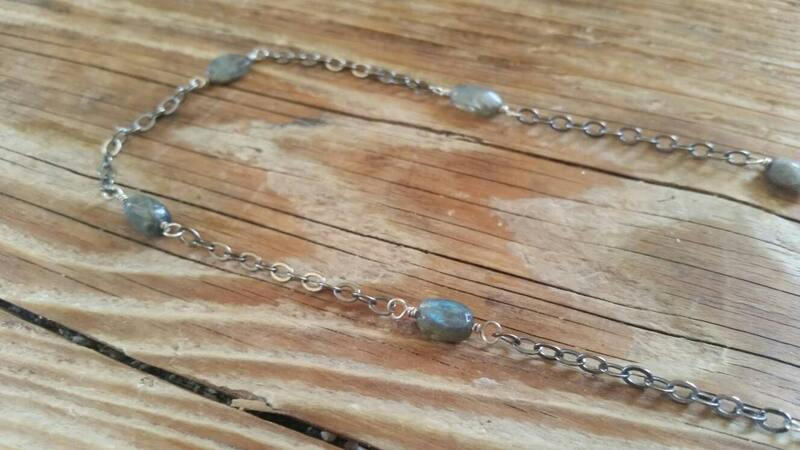 This necklace has a sterling silver magnetic clasp that is very strong. This is one of my personal favorites! 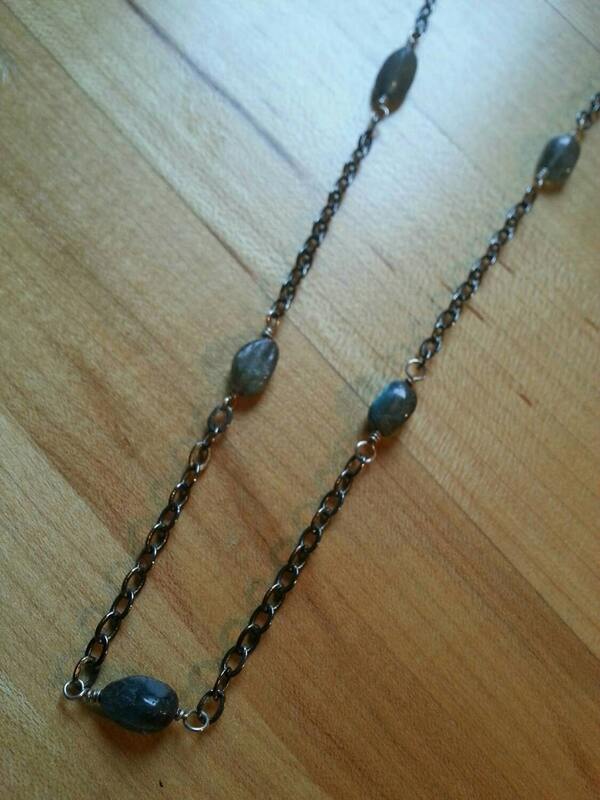 The necklace measures 21-3/4" around.